We invite you to explore India - the Land with infinite beauty ! Whether you soar high into Himalayas or peer under the ruins of the Ancient monuments dotting the landscape of India, you will cherish the experience long after your visit ! This India Travel Guide on Velankanni Basilica is free from any commercial interest! This site is dedicated to promote India - the vast subcontinent, its glorious past, magnificent landscape and its infinite variety. Located about 12 km south of the town of Nagapattinam, Velankanni lies on the Coramandel Coast in South India. The name Velankanni owes its origin to the Tamil word for Virgin of Velai, the town. The locals who had witnessed the apparition of the Blessed Virgin Mary called the place where She appeared as Velankanni - the White Virgin. 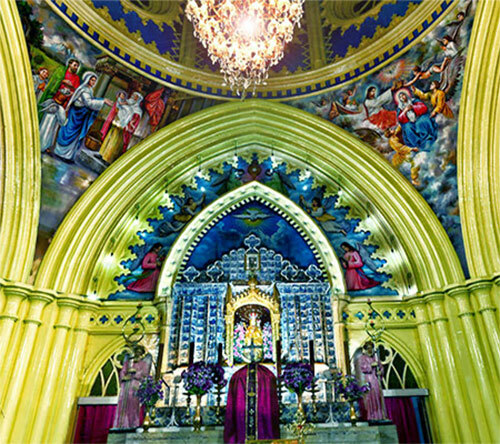 The church of Velankanni was built as a shrine to Our Lady by the Portuguese sailors who were rescued from a violent storm off the coast in the Bay of Bengal. Besides, the apparition of Our Lady and Infant Jesus was seen by a shepherd boy - asking the boy for milk for her infant son. The spot where Our Lady appeared before the shepherd is Matha Kulam, which means Our Lady’s Pond. A thatched chapel was the first to be built by the Portuguese sailors. Over a few years, they made additions and brought artifacts and porcelain plates with Biblical scenes. 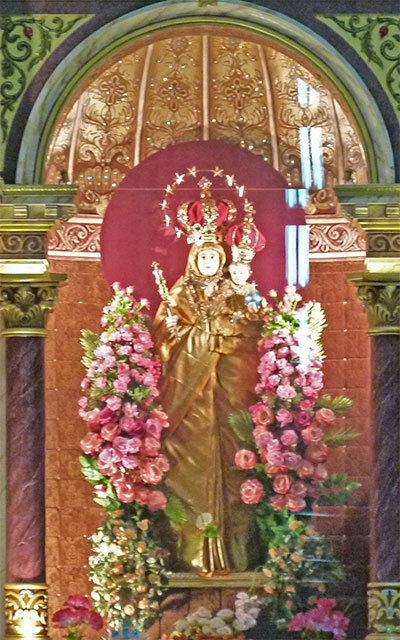 The main statue of Our Lady with Baby Jesus was also brought from Portugal. A miracle that has been associated with the history of Velankanni is that of a crippled buttermilk vendor who saw an apparition of Mary with the Divine Child. After he gave her some buttermilk, she asked him to take a message to a Catholic gentleman in Nagapattinam to build a shrine for her. When the boy ran to undertake this errand, he found to his joy that he was no longer crippled. 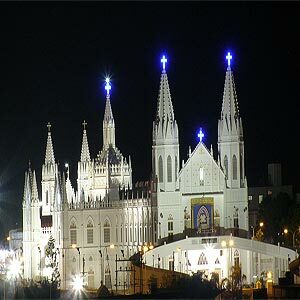 The Shrine of Our Lady of Velankanni was built in the 16th century in the Gothic style. This imposing white building with contrasting red tiles radiates hope and belief. The church at Velankanni was called the 'Lourdes of the East'. In fact some of the additions made during 1975 were designed to resemble the Basilica in Lourdes, France. In Tamil, Our Lady of Health is referred to as 'Arokia Matha'. 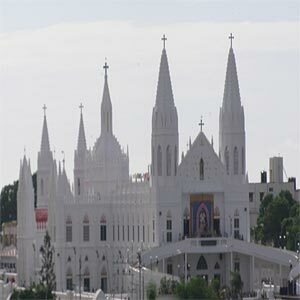 In 1771, Velankanni was made into an independent parish. 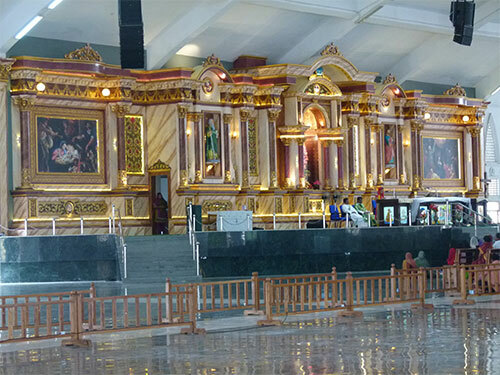 Until 1847, Velankanni was administered by priests of St. Franciscan Missionaries. Nagapattinum was under the ecclesiastical jurisdiction of the Bishop of the Diocese of Mylapore which in turn was under the patronage of the Portuguese. In other words, Portuguese King met the expenses of the entire Mylapore diocese from Europe. In the year 1953, a new diocese was carved out from the erstwhile Mylapore diocese for Thanjavur (Tanjure). For the newly created Tanjure diocese, His Excellency the Rev. Dr. R. Arokiasamy Sundaram Iyer was appointed as the Bishop. Bishop Sundaram was instrumental in the development of Velankanni Shrine as well as that of Poondi Shrine. His Excellency Rev.Dr.Sundaram personally took up the responsibility of raising the status of this shrine to that of a Basilica when he visited Rome on the occasion of the Second Vatican Council in 1962. 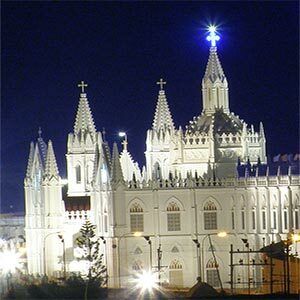 Velankanni church was raised to the status of basilica in 1962 by His Holiness Pope John XXIII. 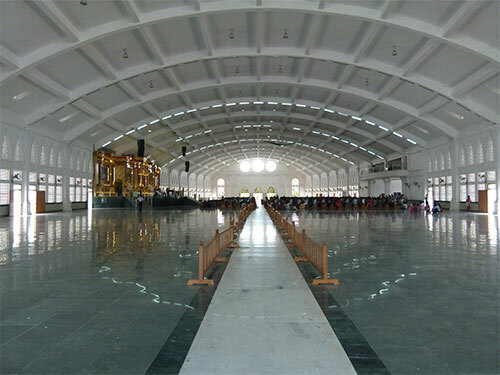 It became Shrine Basilica of Vailankanni and was linked to the St. Mary’s Major Basilica in Rome. Franciscan priests expanded the church as built by the Portuguese sailors. In 1917, under the leadership of Fr. Sebastio Xavier de Noronha, the Velankanni Church expansion saw the addition of two Gothic domes on either sides of the sea-facing entrance. Facility for pilgrims was also constructed. In 1956, an illuminated beautiful welcome arch was built. The former altar was now replaced with an exquisite one in spotless white marble. A new Morning Star Church has just been completed and consecrated on 10th February 2013. Pope Benedict the XVI has sent his emissary, Cardinal Fernando Filoni, the Prefect of the Congregation of the Evangelization of People to attend the consecration which was attended by the ambassador of the Pope in India Archbishop Salvatore Pennacchio amongst others. The consecration was at the end of the Golden Jubilee celebration and the conclusion of the Conference of Catholic Bishops of India. 4 cardinals from India also participated in this event. It is conceptualized as a huge abode to Our Lady - 400 feet long, 138 feet wide and 40 feet high and capable of seating over 15,000 pilgrims. This structure has been designed without any central column and bearing an overall look of a shell. The annual festival of Our Lady of Health in Velankanni begins on August 29th every year with the raising of the flag. The festivities last about 10 days with thousands flocking to the town of Velankanni. 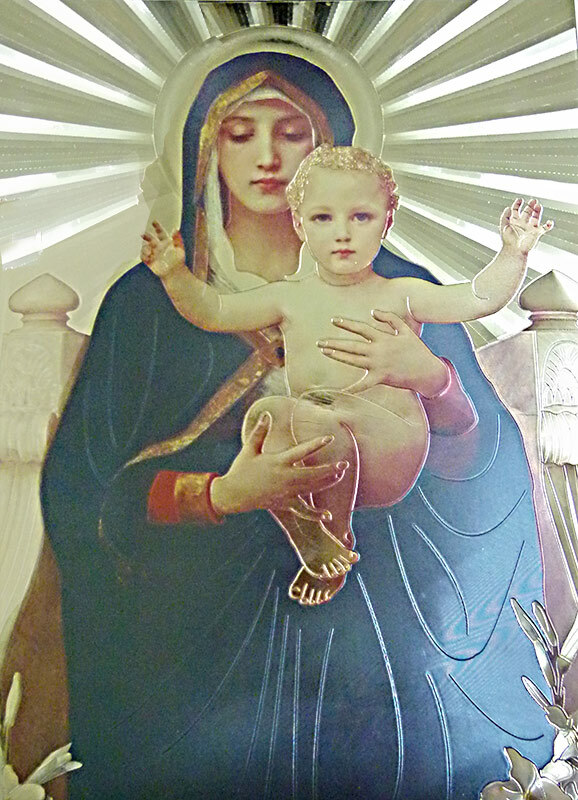 The festival comes to an end on the birth day of our Lady - 8th September. This basilica attracts several hundred thousands of devotees - some clad in light orange dress - every year. Some take this pilgrimage walking all the way to this basilica. Services are held in several languages for devotees coming from other parts of the country. The shrine of Velankanni is revered as a holy spot; especially for those suffering health problems. In fact, devotees offer small gold or silver body cutouts in thanksgiving. These offerings are usually placed in a big hall. Some devotees are known to kneel part of the distance to the old church to express gratitude for the favors received. Pilgrims can find accommodation in small lodges, cottage houses and private hotels. If you book sufficiently early, you may get the Church accommodations.